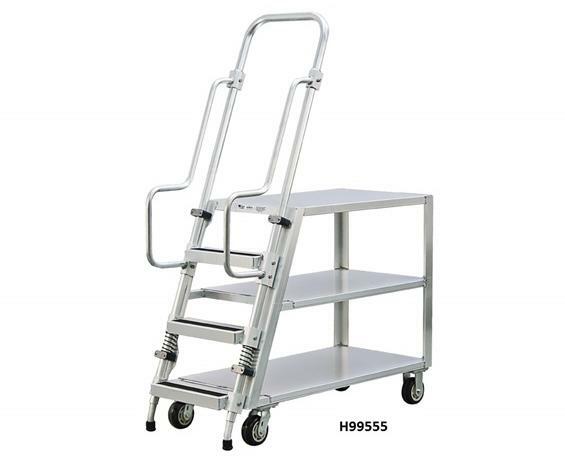 Ladder Carts | Latta Equipment Company, Inc.
Extended push handle saves on shin injury. Continuous grip handle with extended reach top bar. All welded tube base frame. 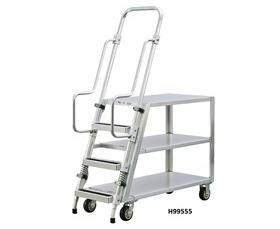 Heavy duty ladder cart for warehouse, stockroom, and shipping. Designed to hold up to 800 lb. capacity. 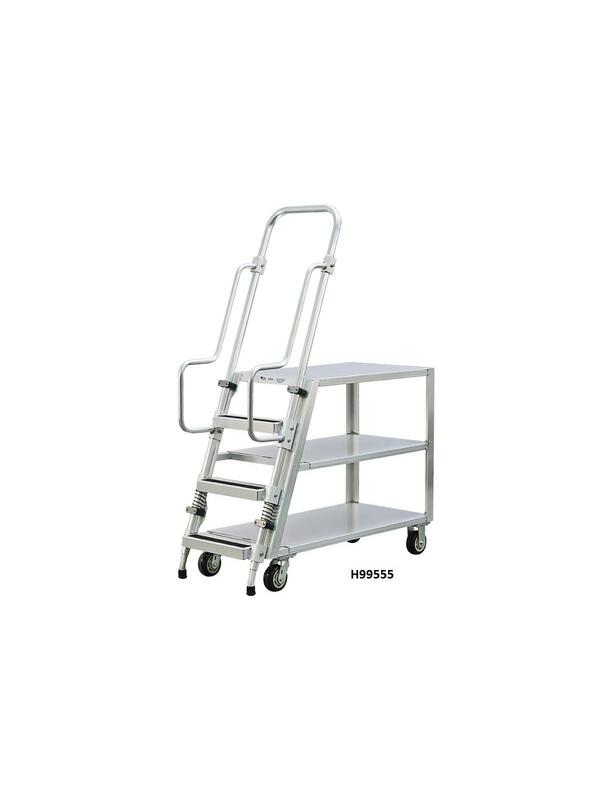 Cart comes with 5" casters, 2 swivel and 2 rigid. Top shelf is 38"L. x 22"W. x 69-1/2"H. FOB Shipping Point.